Ichnology provides useful information on the environmental conditions that prevailed during or shortly after sediment deposition. As such, recognition and interpretation of trace fossils are now integrated in advanced sedimentological core and field studies. Like most other laboratory or field techniques, ichnology should not be used as a stand-alone tool. Ichnofabric information is best used in the full context of the sedimentary framework. Only then can ichnology provide detailed environmental information that can be related to depositional processes, relative palaeobathymetry and sequence stratigraphy. This atlas, containing 437 photos and 31 illustrations, has been written with a bias toward application of ichnological analysis, in particular to the study of trace fossils and ichnofabrics in core. After a brief introduction to ichnology in Part 1, the atlas provides an identification guide to the trace fossils commonly met with in core in Part 2. Part 3 illustrates the types of messages recorded by biogenic activity in sediments. 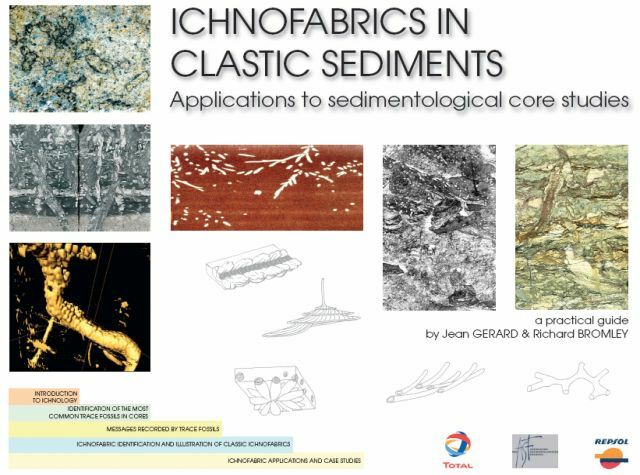 Part 4 supplies guidelines for defining ichnofabrics that are then illustrated by a series of classic ichnofabrics in a variety of palaeoenvironments. Finally, several case histories are presented in Part 5, that give "real life" examples of applications to sequence stratigraphy and reservoir description.